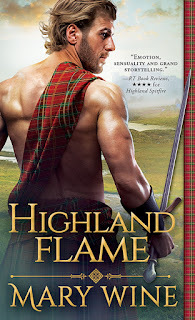 This week, my swoon is from Highland Flame by Mary Wine! He captured her in his embrace as he spoke, folding his arms around her as she made another little breathless sound before he tilted his head, cupped her nape, and pressed his mouth against hers. Far better than anything she had ever done. Brenda's words rose from Jane's memory as she kissed Diocail back. That made it all feel even better. So she kissed him more firmly, slipping her hands along his chest, delighting in the feeling of his hard body beneath the fabric of his doublet. It wasn't enough, and when she found the open buttons near his neck, she slipped a hand inside and settled it against his skin. I loved this scene! It ended up being one of the sweetest scenes of the book (apart from also being a steamy one). Diocail and Jane are such a great couple. =) Win the enter series HERE! 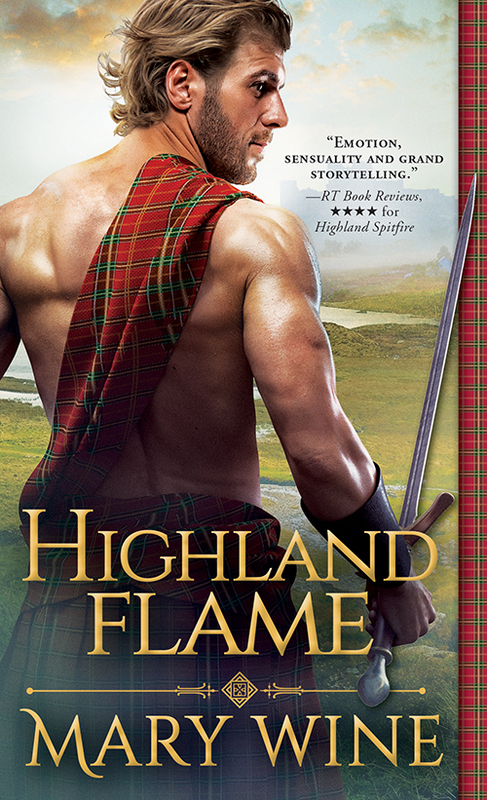 I definitely need to read more historical romances. This sounds sooo good!Great swoon, Alyssa! Aw, sounds like a sweet moment. What a wonderful swoony moment! If you are fond of reading the site like that is for you to look through it and find the one for you to read, Take a look essay editing service free - edit-ing.services use it with pleasure.